If you want to qualify for one of the best loan programs around, you should really know what the FHA loan requirements are. This set of standards was designed to make it easier than ever for people to become homeowners with lower credit scores and lower down payments. Understanding what the requirements are can help you to navigate your own path toward home ownership, even if you still have a little bit of work to do before you meet the minimum standards. Many of the FHA loan requirements have been around for a while, but they did come up with new loan limits in 2018. For a single-family residence, the new maximum limit for a low-cost area comes to $294,515 and for a high-cost area comes to $679,650. These were increased just this year to make homeownership more likely for buyers in these areas. If you’re wondering what the rest of the FHA loan requirements are, it’s time to take an in-depth look at what you should be prepared for. These requirements will give you an idea of whether you will qualify or what you might need to do to make yourself more appealing to lenders. In the past, most lenders wanted prospective borrowers to maintain a credit score that came in around 620. Borrowers who want a conventional mortgage can still expect to come up with a credit score like this for the most favorable interest rates and loan terms. Fortunately, the FHA credit requirements are substantially lower than this. Most borrowers who want to take full advantage of the FHA mortgage program will need to have a credit score of 580 or higher. This allows them to put down a much lower down payment of just 3.5 percent of the purchase price on the property. If you are relatively close to reaching this FHA loan credit score, you should really attempt to polish your score before you apply. You can still meet the FHA credit requirements with a lower credit score between 500 and 579. 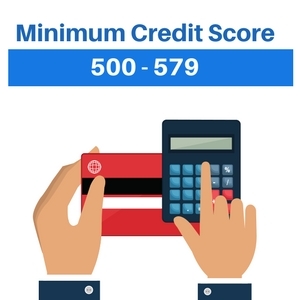 These lower credit scores place eligibility under the FHA underwriting guidelines in the realm of possibility for many borrowers who have been struggling to improve their financial standing. However, it does come with a cost difference compared to the higher tier. Plan to come up with a ten percent down payment when your credit score falls into this bare minimum range. While this might make homeownership more difficult for you, it does still lend you plenty of possibilities. Can you get an FHA loan with no credit score? Many lenders are still willing to issue loans to borrowers who do not have credit. 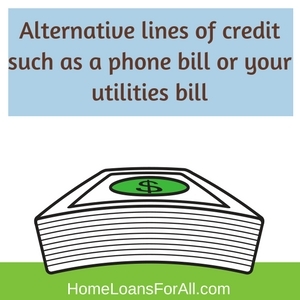 You might be able to submit alternative lines of credit such as a phone bill or your utilities bill if you had the accounts for multiple years and paid your bills on time. This makes the FHA mortgage program ideal for first-time home buyers who haven’t have enough time to build up their own credit score yet. Much like with a lower credit score, you might be required to come up with a larger down payment if you have no credit at all. Lenders have always considered how much debt you have as an important factor on whether they can safely issue you a loan. When your debt reaches a dangerously high percentage of your income, it can be difficult to make your mortgage payment each month. This is why lenders want to get a clear picture of your finances before they are willing to approve you for any type of loan. In order to calculate this number, a lender will first tally up all of your accumulated debt that you make payments on each month. These figures include any auto loans, student loans, or credit card payments that you might have on a monthly basis. Lenders are only interested in money you have borrowed from other sources, so it will not include monthly expenditures such as your estimated grocery costs, utility bills, and other items similar to these. From here, they will divide your total debt amount by your income and multiply it by 100. Let’s say that you have $500 in debt each month due to a car payment and an old student loan. If your gross monthly income is $2,500, that means that your debt to income ratio is 25 percent. What are the allowable debt to income ratios for FHA loans? 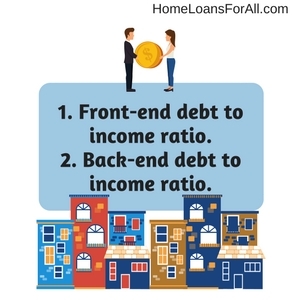 Now that you know how to calculate your own debt to income ratio, you should know how lenders use these numbers to decide on your approval for a mortgage. They will use two different debt to income ratios to determine your ability to repay the loan based on your income. The first number is known as your front-end debt to income ratio. Lenders will be looking solely at the estimated cost of the monthly mortgage payment with interest compared to your overall income. For this calculation, they leave out all of your other debt to see what percentage of your income will go toward housing each month. According to the FHA underwriting guidelines, the maximum front-end DTI is 31 percent. The second is known as your back-end debt to income ratio. This adds up your mortgage payment and any other debts you might have to see how much you will really owe on a monthly basis. The FHA allows debt-to-income ratios of 41 percent when looking at the back-end numbers. What do I do if my debt to income ratio is too high? Fixing a high debt to income ratio doesn’t have to be extremely difficult, but it might require a little bit of time. The only way you can adjust your debt to income ratio is to either increase your income or to decrease your debt. The latter tends to be the easier method for lowering a debt to income ratio. Paying down some of your old loans can make a huge difference in your debt to income ratio. This is a quick way to make yourself more appealing to lenders. The employment requirements for obtaining an FHA loan tend to be a hang-up for many individuals who think they should qualify. Lenders really want to see a stable income and a long employment history because those two items make you far more likely to repay your mortgage. You should know what the specific details are regarding these employment requirements. How long must you be employed to receive an FHA loan? Determining the minimum length of time you must be employed to receive an FHA loan is a little tricky because it can be circumstantial. Most lenders want to see a two-year employment history to demonstrate some job stability. This doesn’t have to be all at the same job or even at the same type of job. However, it does give them some glimpse into whether you are capable of obtaining and keeping a job. Under the FHA loan employment requirements, you’re allowed to change positions and jobs during these two years. Try to keep your employment changes to less than three to avoid taking additional steps. Once you’ve had three job changes in a year, you must show more documentation about your positions and the income you received with each of them. The bank might request proof of your qualifications or training to prove that you can handle this position. However, they are more likely to be interested in how your income and benefits improved as a result of each career change. Perhaps you had to take a break from working for a while due to unexpected unemployment, a medical issue, or the need to take care of a family member full-time. 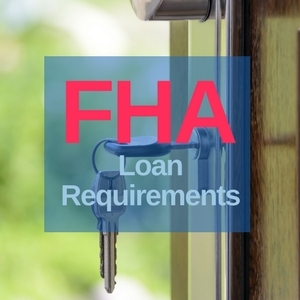 Ultimately, these are the minimum requirements for employment based on the FHA standards. Your lender might have additional requirements they need borrowers to meet before they are willing to issue financing. 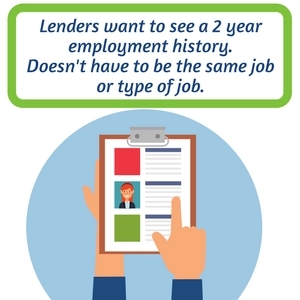 Doing some research into the specific requirements of every lender should give you a good idea of which lender might be willing to work with your employment history. After it is determined that you personally meet all the necessary criteria for a loan, the lender will turn their attention to your property. Every home that receives financing through this program must meet certain guidelines to ensure that it is safe and sanitary for the new home buyer. They are not concerned with the cosmetic items that might need to be touched up on the property. 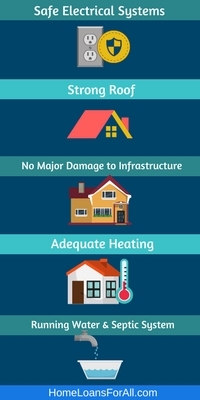 These don’t affect the overall safety of the home, so they do not make it into the inspection report that is required by FHA underwriting guidelines. Only major issues that could signal significant repairs in the future are meant to be listed in this report. This is to keep you from purchasing a home that seems likely to cause you significant financial hardship in the future. Any major safety issues will need to be corrected prior to receiving financing for the property. Keep in mind that this inspection is only concerned with general safety and major issues. You might still want to hire your own third-party inspector to take a more thorough look at every aspect of the home prior to closing. This gives you a better idea of what you might be able to expect in the years ahead with this property. 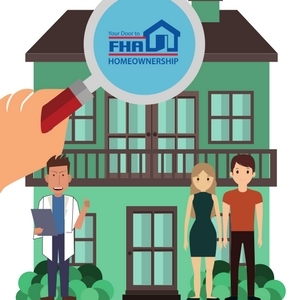 Does the FHA require a home inspection? Most times, your inspector and appraiser will be the same person. Their primary job is to ensure that you are paying a fair price for the home based on its condition, the price of surrounding real estate, and the area in which it is located. They will come up with the market value of the home based on their own research. Lenders compare the appraiser’s estimated value to the sale price of the home. An appraisal that comes in too low means they are financing the house for more than it is really worth. This could be bad news for a lender in the future if you should default on the payments. It would be much harder for them to recoup the money they invested if the house is overpriced now. If the appraisal comes back much lower than the sale price of the home, it could potentially derail your financing unless you take further action. You might need to renegotiate the sale price with the home’s current owner so that it is more in line with what the appraisal would have estimated. Compared to a conventional mortgage, it should be much simpler for you to meet the FHA loan requirements. They take borrowers with a minimum credit score of 500, provided you can come up with a ten percent down payment. Even the debt to income ratios and employment history requirements are slightly more generous than those for conventional mortgages. Once you personally qualify, the only thing you need to figure out is whether the property will pass the FHA’s minimum property standards. 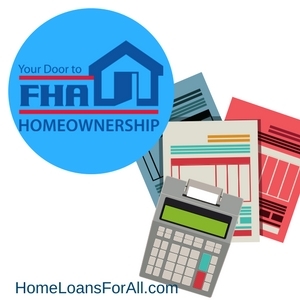 If you have any questions about whether you meet the FHA loan requirements, be sure to contact your lender today. They should be able to help you determine your own eligibility and offer suggestions if you’re a little short of qualifying. Are there any 580 credit score mortgage lenders available for FHA loans? Yes, there are 580 credit score mortgage lenders available. 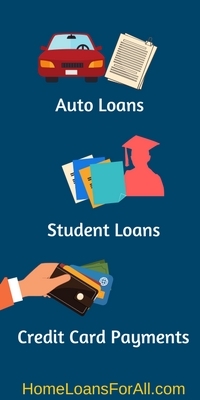 You can find out if you pre-qualify for one of these loans using our online application here! What are the credit requirements for FHA Title I Loans? There are no minimum credit scores for the FHA Title I loans. This type of financing makes remodeling a property much more accessible to homeowners, even if they have no equity built up in the property yet. Does an FHA loan require a termite inspection? The FHA mortgage program does not necessarily require a termite inspection unless there is evidence of a current or previous termite infestation. Some areas and lenders may still require a termite inspection before financing the home. Yes, FHA loans do require private mortgage insurance.